“Wo men da che hao bu hao?” asked Ya Ting, my new travel buddy in Yunnan province, China. 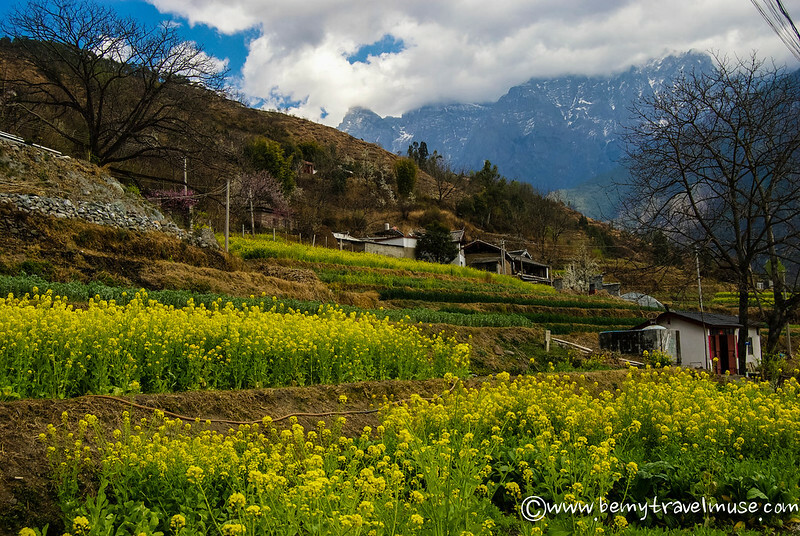 What she meant was she wanted to hitch hike from LiJiang to Tiger Leaping Gorge – our destination and the sole reason I had made the trip up from Dali, my favorite Chinese hippie town. As we walked to the highway that morning she explained that she’s from ShenZhen, so she likes to do things quickly. It was clear by the way she walked quickly, talked excitedly, and had an energy about her that was infectious to everyone around her. She was scrappy. She would even haggle the printed prices on a menu, always succeeding in getting us a discount. In short, I liked her a lot. I had met Ya Ting in my hostel in Lijiang. I was a little worried arriving as the only foreigner, fearing I might be solo for a while. Ya Ting immediately took a liking to me and asked if we could travel together. I was glad to have a new friend who I would travel with, speaking Mandarin and hitch hiking together, for the foreseeable future. We stuck out our thumbs and walked along the street for about 15 minutes before we found a car headed in our direction. He was able to take us most of the way, at least to a major highway near the gorge. Once there, we’d need to hitch another ride. We hopped in and Ya Ting rapidly asked directions for the leg of the trip we’d take two days later, from the gorge to Shangri-La. He dropped us at the intersection to Qiaotou and we stuck our thumbs up for no more than a minute before a car stopped to take us to the gorge. He was a young man on his way to Shangri-La. “Aww! Wo men mingtian qu!” (we’re going tomorrow!) breathed Ya Ting, pained to be missing a perfect opportunity but unwilling to give up the task at hand, which was climbing 20 kilometers over two days through Tiger Leaping Gorge. The hike started out easily enough, but quickly turned steep and challenging. A warm and dry day, it was surprisingly inessential to have all of the layers on that we had shown up prepared with. I shed them periodically throughout the first half hour. Though most people hike this during the high season in the summer months of July and August, I couldn’t imagine a more perfect time than the end of February, while snow still topped the mountain peaks but didn’t present cold enough conditions to keep us away – it was shockingly dry and warm, with cacti, Yes, cacti! It became clear about 2 hours in that the map, proudly displaying Woody’s hostel as the epicenter of Tiger Leaping Gorge, was not at all to scale. I thought we’d be to the top within the first couple of hours, but the ascension took up the entire first afternoon. The first day was spent mainly getting through the part of the trail known as the 28 bends, which was an ascending trail, steep in some parts (but still nothing like the steepness of Adam’s Peak in Sri Lanka or Mt. Kinabalu in Borneo). That night was spent at Tea Horse Inn in a small town along the way after about 10km, or 5 hours, worth of hiking. That night we were invited by a couple of Korean tour guides to join for dinner, where I ended up being the incredibly under qualified translator between their broken English, to my broken Chinese, for Ya Ting. In that way, we all somehow managed to communicate. The following day was almost flat for the first 10 or so kilometers before descending steeply back to the road, and Middle Tiger Leaping Gorge, which was our ending point. Following a quick lunch, it was time to hitch to the next destination: Shangri-La. 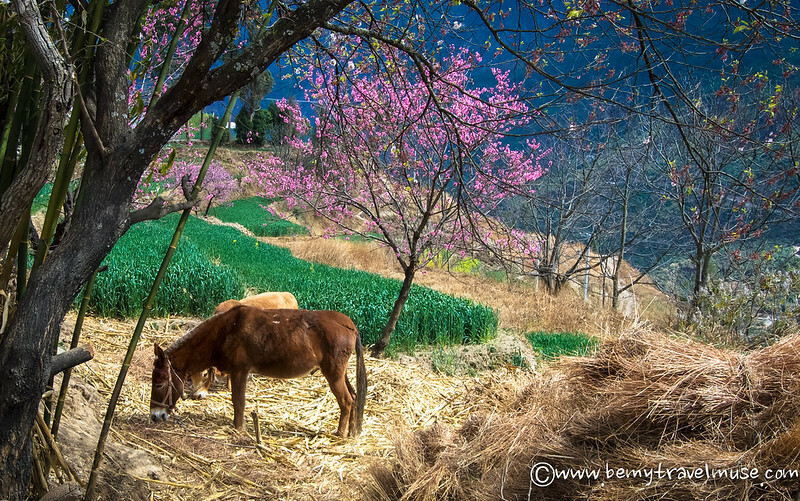 We had a whole lot more trekking to do at our next destination – Deqin near Tibet. Holy shitballs those pictures are incredible especially the one with the donkey! Loving your off the beaten track stories. Kudos! We are following your every move since we will be in China for the first time next month! Many of the places you are going are on our list! Look forward to seeing where you go next! Excellent! 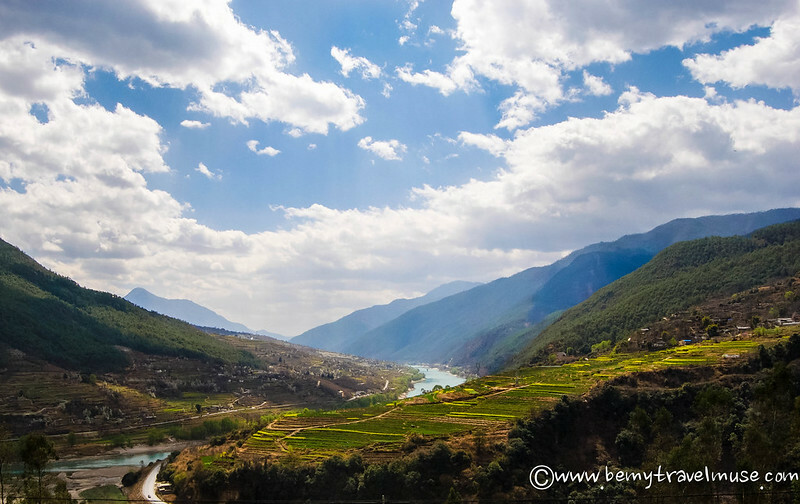 I was really happy with everywhere I went in Yunnan province, though it did take me 3 weeks to get through it, and I still feel like I missed a lot! In Sichuan now where I’ll finish out my second month. Beautiful pictures and good tips. It’s great that out of all the travel blogs out there, you’re covering China. I’m really glad to be here. I think of all the places I’ve written about, this is the one that needs the most advice and coverage so it’s exciting for me. One thing I never realized was that Shangri-La is a real place. I used to think it was fictional, from that one novel Lost Horizon. I had to google it again and look it up on the map. The Chinese have basically named an fake old town Shangri-La which has since burned down. However, the entire West of Sichuan (where I am now) – the Tibetan autonomous prefecture, is known as Shangri-la and considered a holy place. Glad to hear it! I hope you enjoy China! Do you speak some Chinese? Would be helpful in China but elsewhere in Asia I was fine not knowing the local language. What an incredibly beautiful place. I really love your photos of it Kristin. I have read a bit about the gorge in the past but never actually seen pictures. I’m blown away! 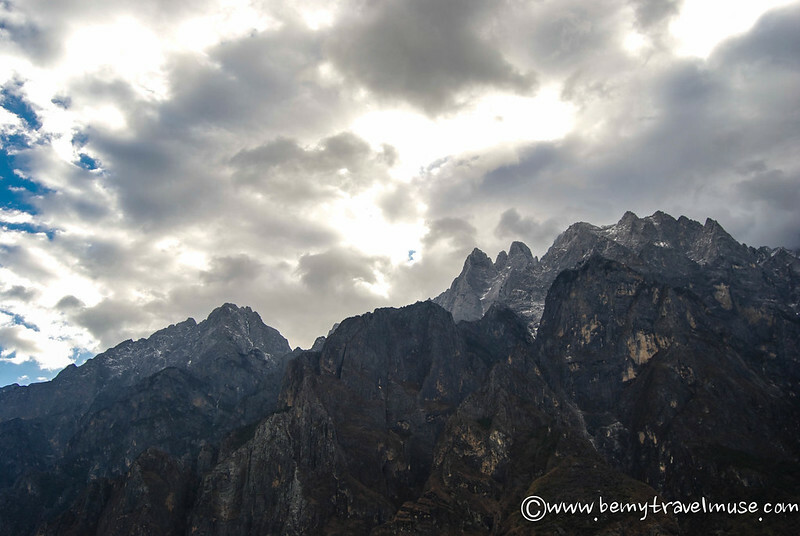 I lived in Shanghai for two years and Tiger Leaping Gorge was seriously one of my favorite areas in China! 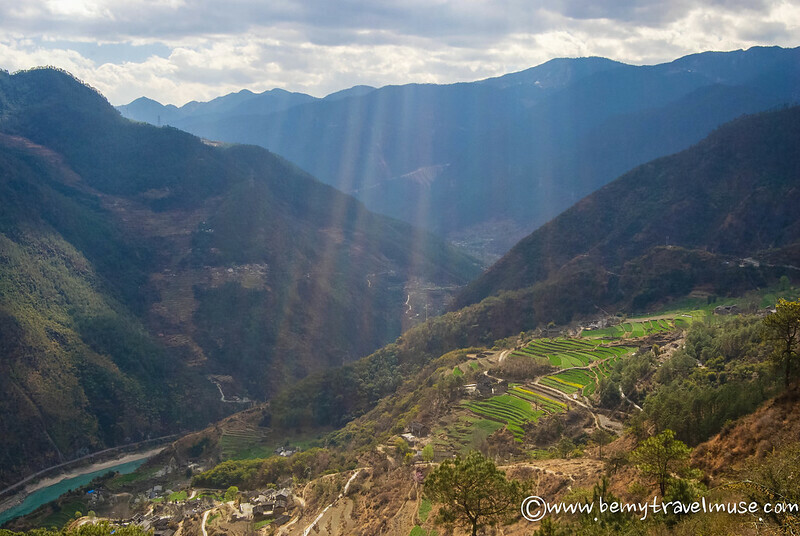 We spent two weeks in Yunnan, but only had one day to hike around the Gorge. We did part of the lower section and, while it was stunning, I’d love to go back and hike the whole thing. It’s absolutely stunning! Amazing photos Kristin and your off-beat travel style has always been an inspiration. Gorgeous photos! In all the photos I’ve seen from my friends who have been there already, the river is brown (they must have all been in Summer). Now I know that it is actually a beautiful blue- green at other times of the year, I might try to skip summer when I go. It’s a long way from Beijing though so it depends when the holidays fall I guess! I was happy to see it that color too. I wonder if it’s much greener and less dusty and dry in the summer, though. Most likely is. A trade off! Holy crap these photos are absolutely stunning Kristin! I have no plans to head to China anytime soon (my principles won’t let me with their lack of human or animals rights)…however I can always appreciate the country’s beauty and in your photos it’s hard not to have your jaw drop at the gorgeous scenery you’re showing us! 🙂 Just wow! Thanks Toni! I can’t say I’m too proud of my country’s handling of either of those rights either. I hope one day you come here. It’s truly amazing. Hi there. 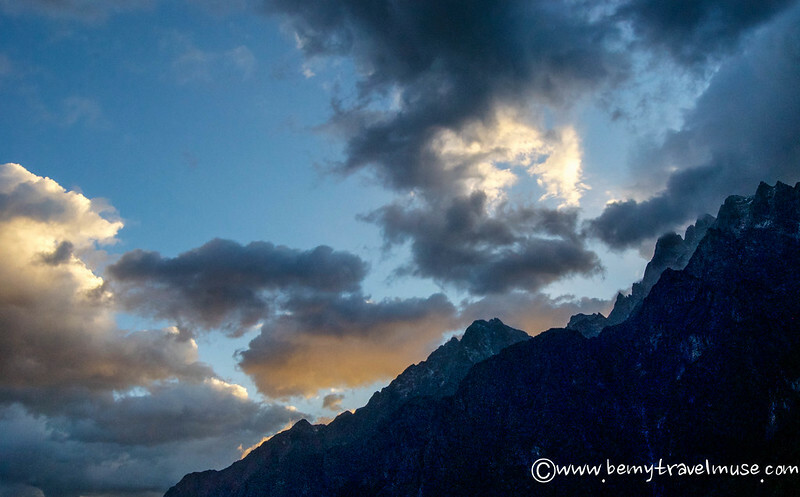 Did you go to the Jade Dragon Snow Mountain in Lijiang? I cannot believe you hitch-hiked to Tiger Leaping Gorge. You, young lady is my newfound hero. Also, I’m not exactly in the best shape for hiking, but am training myself for hikes around Yunnan province. 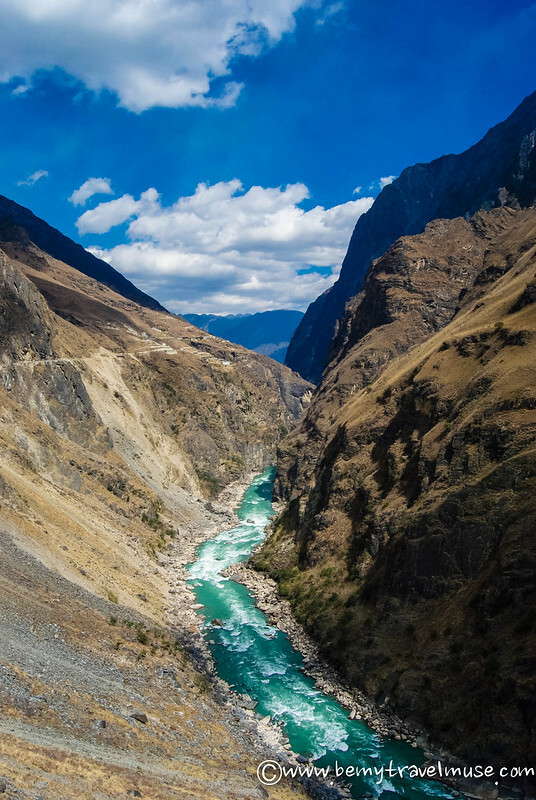 How long would you think is the best time to do Tiger Leaping Gorge for beginner hikers? Haha, thank you! I actually hitch hiked a couple thousand kilometers in China. It was fun! I think you can do it in two days like I did. The first day is steep but after that it flattens out. I’m doing the trek this coming week and am so looking forward to it! Thanks for the helpful tips. I’m hoping that since I’ll be starting the trek after National Week is done it won’t be too busy. This should be a beautiful time to do it. Thanks so much for the fantastic information! 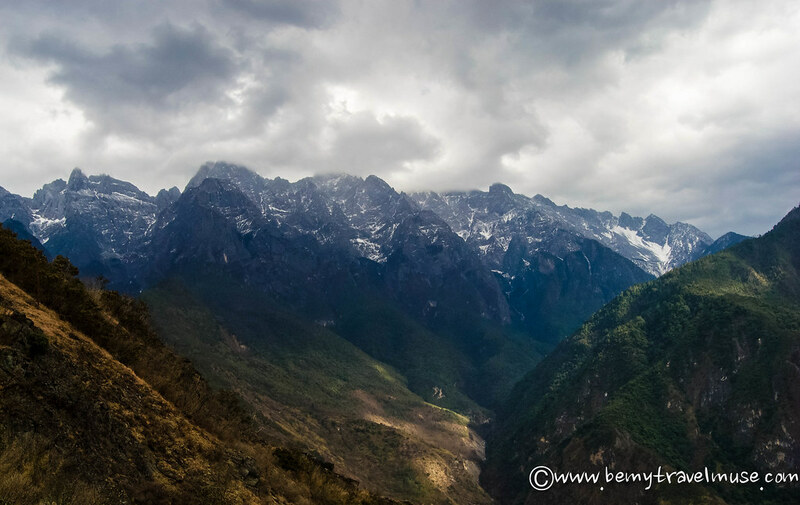 I’m headed to Yunnan in mid-April of this year for the Tiger Leaping Gorge trek. We will be taking the sleeper train down from Kunming and have 2 full days to explore before starting the hike. Any recommendations on whether to spend the two days in Dali (or Lijiang) or one day in each city? I adore Pai, and my boyfriend loves architecture 🙂 Cheers! I liked Dali the best! I loved biking around the lake and would spend my time there personally. I did the Tiger Leaping Gorge in 1994! Reading this has really brought back memories of that hike. At that time, there was only one place to stay in the middle of the gorge. It was this hotel owned by this man with one arm and his family. They made banana pancakes and grew ganja. At that time there were terrible stories of hikers dying on the gorge. There was one terrible story of this Israeli girl who had fallen down the gorge while hiking. She managed to survive the fall but ended up dying of starvation. She had kept a diary of the ordeal. There was another story of a Japanese hiker who had fallen asleep while hiking the gorge and died of hypothermia. All of these stories haunted us as we were hiking through the gorge. I remember passing prison work gangs and hearing explosions going off in the distance like someone was blowing something up while doing the hike. The locals that we passed along the hike were eerily unfriendly. When we got to the end of the hike, the town had no water at all. It was all a very surreal experience. No one hiked the gorge except for a handful a day of crazy foreigners. WHOA that is nuts! It’s definitely become more frequented now, but not overly so, at least in 2014. The places to stay were still just tiny farm homestays. I would have loved to see china in the early 90s.